One of the top tourist attractions in Montreal. 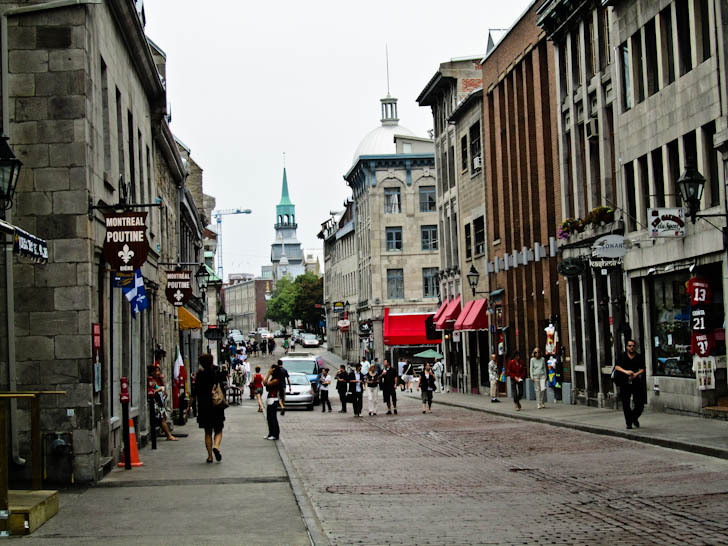 This is the oldest part of the city dating back to the 1600’s and is one of the most popular things to do in the city, not to mention its one of the completely free things to do in Montreal! Feeling as though you were in Europe, you can walk through the cobblestone streets and the European architecture. Sit down in the square to watch live performances and people watch as you get a taste of Paris served with cafe au lait. CAUTION: They do serve Nutella which is an evil delicious chocolate from Italy. We will not be responsible for any weight that you gain. Not only is this one of the best things to see in Montreal, but it provides a great backdrop to the city. 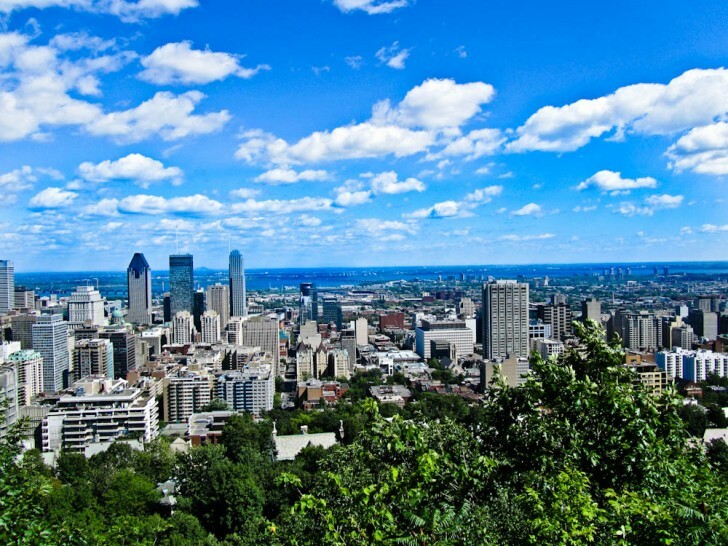 Mont Royal is a popular place to visit especially during the summer time. You can get some exercising running up the mountain, hike to the top, or even have a picnic during the beautiful days of spring and fall. The peak isn’t impressive but you are able to see incredible panoramic views of the city before reaching the top. Don’t forget to visit the Oratoire Saint-Joseph du Mont-Royal where pilgrims come to pay respects to St. Joseph. They hold great concerts and recitals in the summer at the Oratoire. The sights of the city are quite impressive and will leave you in awe. The best way to see the city is by renting a bicycle. The city has over 400 miles of bike paths and plenty bicycle renting stations in the city just like in Paris. 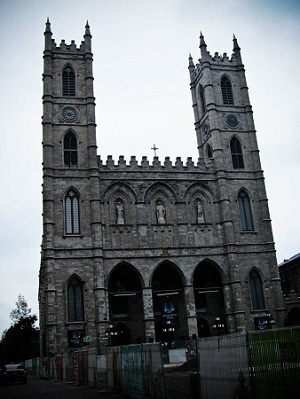 The Notre Dame Basilica is very impressive and the Marie Reine du Monde Cathedral is gorgeous as well. Don’t forget to visit the 2nd largest Botanical Garden in the world and the largest underground complex in the world where you can burn some plastic. The waterfront is also a great place to visit. The city has over 30 museums & the oldest museum in Canada resides right in Montreal: The Montreal Museum of Fine Art. The Canadian Centre for Architecture and the Musee d’art contemprain de Montreal are equally as impressive. It wouldn’t be a version of Paris if they didn’t have the Parisian food right? 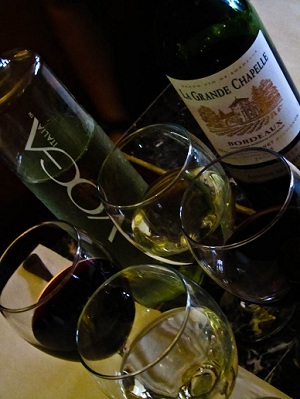 Crepes, Nutella, Filet Mignon, the food will have you coming back. More than just dining it’s the atmosphere that you have when you go out to eat. Don’t bother trying to find the best restaurant, just step outside and start to walk and you will be greeted with a few great choices. Frozen in the winter, Canadian’s come out with a vengeance in the summer! 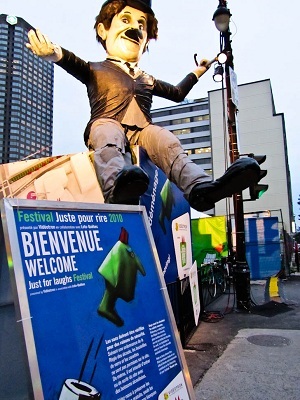 Montreal is a city of festivals in the summer hosting the world’s largest fireworks competition, the Grand Prix of Canada, the Jazz festival which boasts up to 1 million visitors, and the Just for Laughs festival as well. The nightlife certainly will not disappoint you either. You can really see the diversity of the country at night; make sure to stop by the following streets: Crescent, Saint-Laurent, or St-Catherine. Dont forget to check our top 5 section for more things to do in Canada!